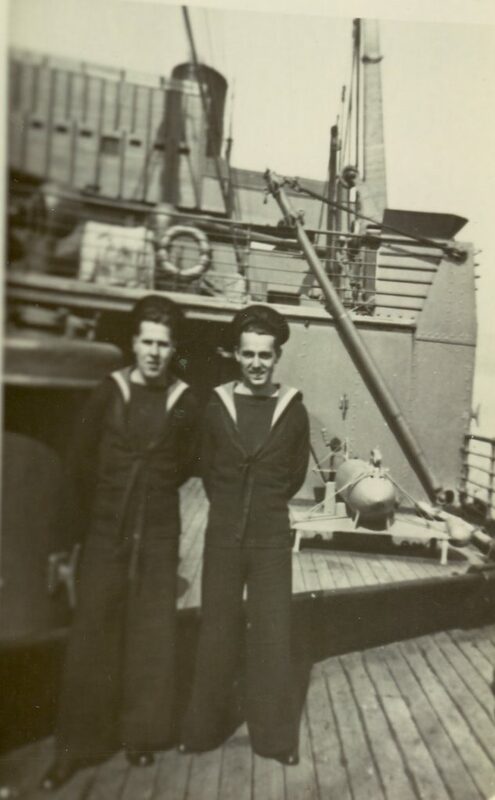 Mr E Willis of Canterbury served on the Armed Merchant Cruiser HMS Ausonia from the 2nd January 1940 to the 6th May 1942 in one of her 6 inch gun crews. He recalls that their first job in early 1940 was to take a large amount of gold from England to Halifax, Nova Scotia. Halifax was to become their base from where they escorted North Atlantic convoys. He recalls that Ausonia was a very comfortable ship and being based in Halifax, they had the best food and plenty of comforts. He remembers that they fired lots of practise rounds from the 6 inch guns, but was sure that they only ever fired the guns once at the enemy and this was while the Ausonia was having a refit in Belfast. One night the city and especially the dockyard were heavily bombed by German aircraft and the Ausonia’s 6 inch guns were used in the defence of the dockyard. A couple of times they went up to Iceland and he especially remembered that Ausonia had to abandon one of her anchors in Reykjavik Bay, not being able to pull it up. They carried out a patrol in the far north along the edge of the ice cap and twice patrolled down to Bermuda. He remembered that they also had one very long patrol down in the South Atlantic in bad weather. 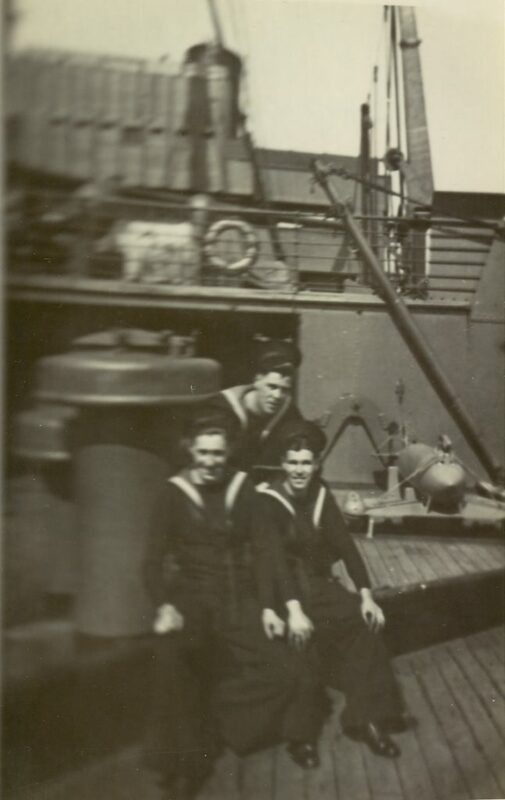 The 6 inch S1 Gun Crew, (Starboard Side Forecastle) of the Armed Merchant Cruiser, HMS Ausonia in Halifax, early 1940. 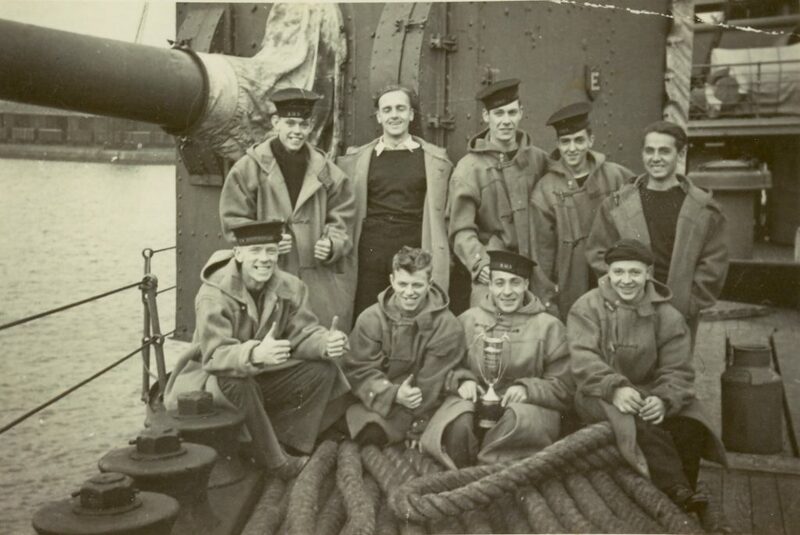 The 6 inch P1 Gun Crew, (Port Side Forecastle) of the Armed Merchant Cruiser, HMS Ausonia in Halifax, late 1940. 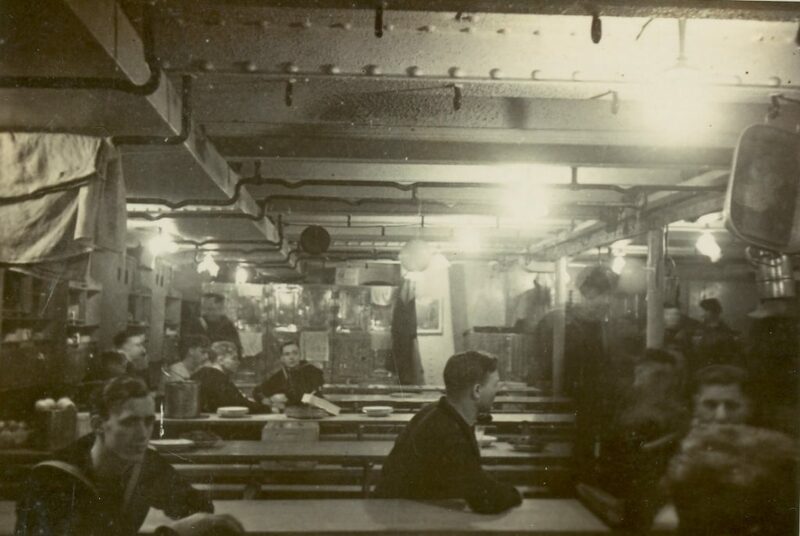 The Seaman’s Mess Deck of the Armed Merchant Cruiser, HMS Ausonia, Christmas Day, 1940. 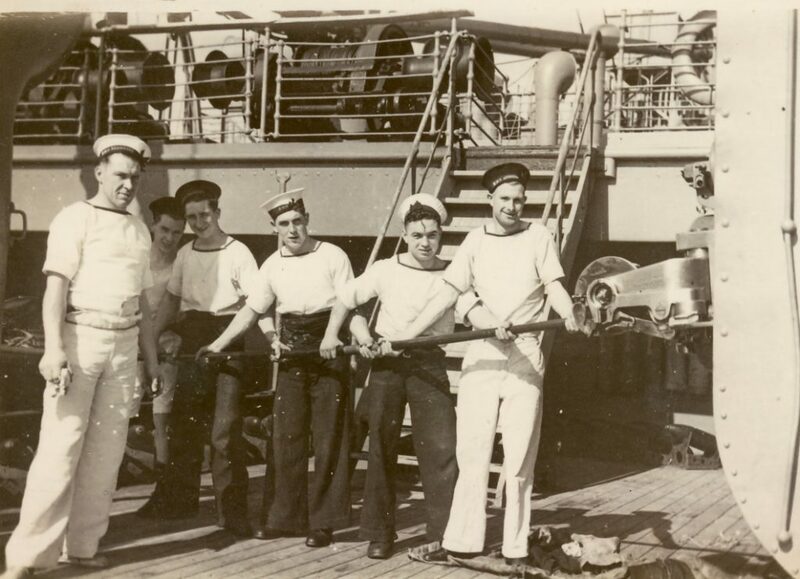 The 6 inch P1 Gun Crew, (Port Side Forecastle) of the Armed Merchant Cruiser, HMS Ausonia in Bermuda, mid 1941. 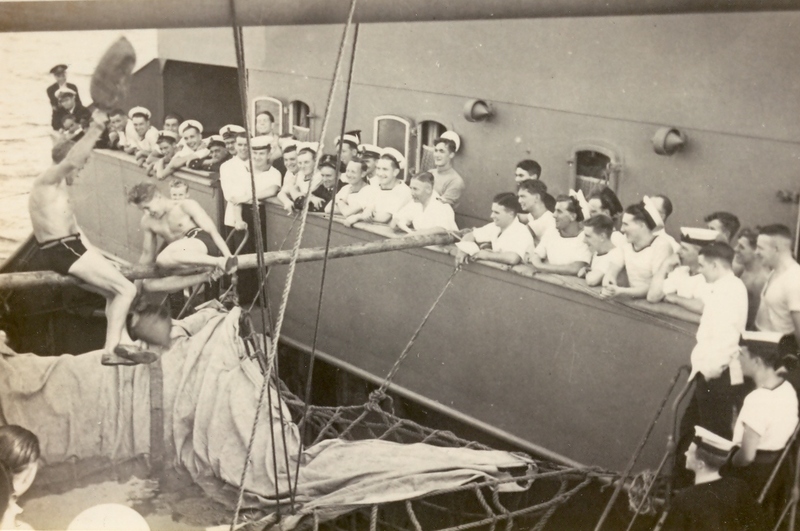 Pillows fight, during sports day on the lower bridge of the Armed Merchant Cruiser HMS Ansonia, Halifax, early 1942. 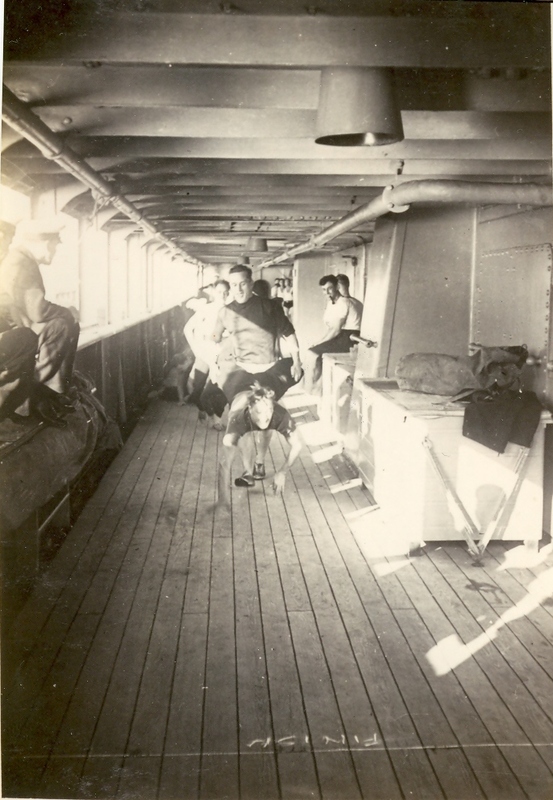 Wheel barrow race on the Port Side Promenade Deck, of the Armed Merchant Cruiser HMS Ausonia. 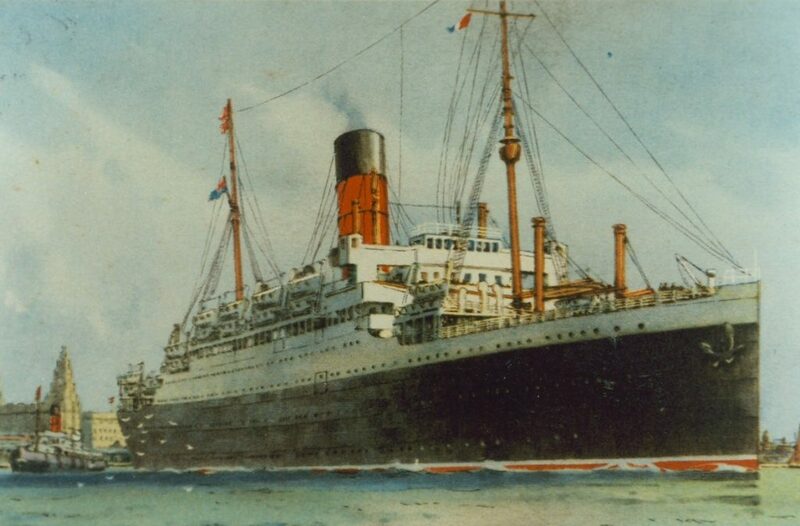 Souvenir postcard of RMS Ausonia from the 1920’s.